Is it time to steam clean your carpets? You've come to the right place. My Dad's Cleaning Service has provided quality carpet steam cleaning services to local homes and businesses since 2001 and we'd love to add you to our list of happy clients. We utilize powerful carpet steam cleaning equipment that is strong enough to remove the dirt and grime that gets embedded in carpets, but gentle on your carpet fibers. Give us a call today for a free quote and find out why we've become a local favorite for quality service at a great price! Once you choose to work with My Dad's Cleaning Service for carpet cleaning, we'll schedule a convenient appointment to get the job done. After we listen to your concerns, we'll begin by pre-treating any spots or stains. We'll also treat any high traffic areas that are showing wear and tear. Next, we'll use our high powered equipment to apply cleaning solution and then extract the solution as well as most of the hot water from all of your carpeted surfaces. 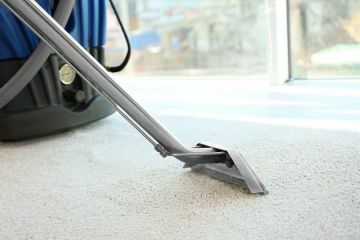 The result is clean, fresh-smelling carpeting without harsh scents or chemical residue that dries within a few hours. When you're looking for a trusted contractor to clean your carpets and get them looking fresh and new again, My Dad's Cleaning Service is a great choice. Our carpet technicians are thoroughly screened and properly trained in the most effective carpet steam cleaning practices. We utilize quality carpet cleaning equipment that allows us to completed each job efficiently and effectively, which saves you time and money. We'll leave nothing behind except clean, fresh-smelling carpeting.